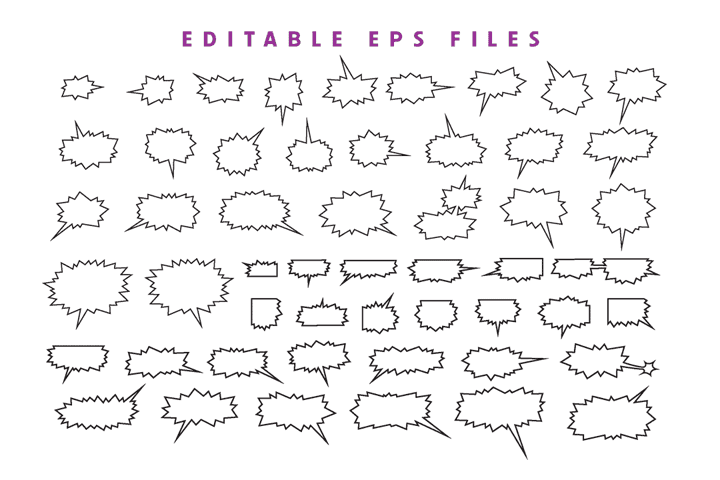 Your characters aren’t merely angry -- something else informs their monologues, something powerful and demanding. Their pronouncements bristle with power and energy, much like the cosmic gloves they wear on their clenched fists! 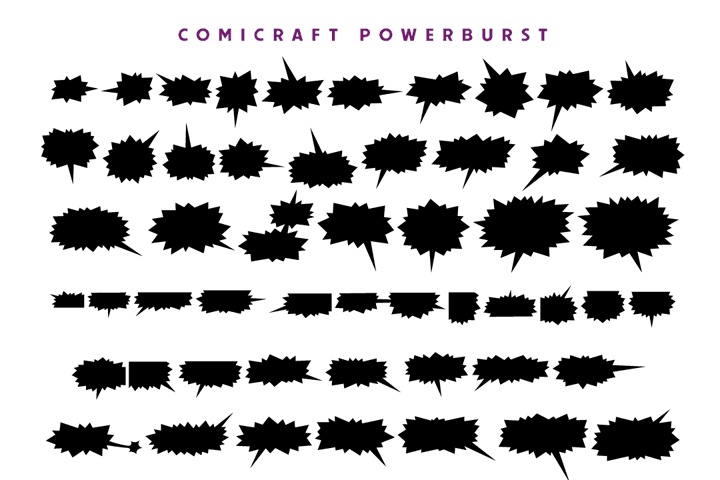 Their words are laced with contempt and anger, and their enemies stand in awe of these Titans as they deliver their condemnations of all mankind, because their balloons are sharp, spiky and dangerous to touch! 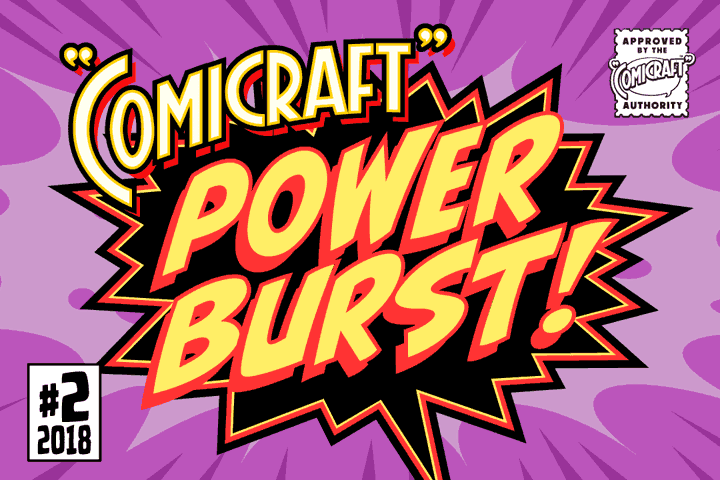 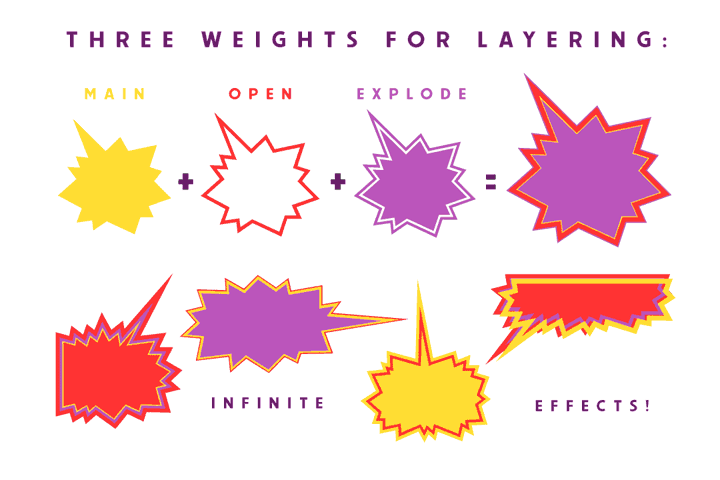 Apply ComicraftPowerburst to fill your comics with passion, tension or an insane desire to TAKE OVER THE WORLD!